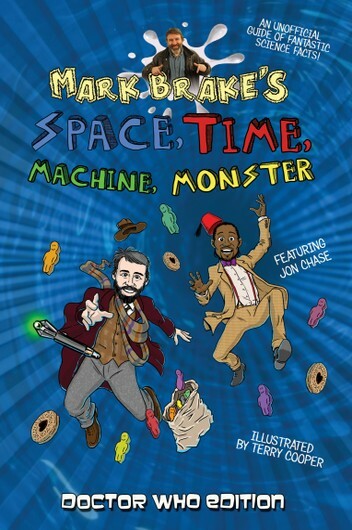 Mark's other children’s books include the original Space, Time, Machine, Monster; Space Hoppers; Really, Really Big Questions about Space and Time, and The Alien Hunter’s Handbook. It will appeal to fans of Tony Robinson, Terry Deary and Mick Arnold. Mark Brake is a freelance academic who writes popular science books, and has done science communication work in film, television, print, and radio on 5 continents. He is best known for his work in communicating the relationship between space, science and culture. Mark's books include those written about science within fiction (Different Engines and FutureWorld), three communicating science for a younger public (Space Hoppers, Really, Really Big Questions about Space and Time and The Alien Hunters Handbook), and two more academic works (Revolution in Science and Introducing Science Communication). Mark has also worked with Cambridge University Press on Alien Life Imagined, published in 2012. Click on the image below to find Mark on Author Hotline.